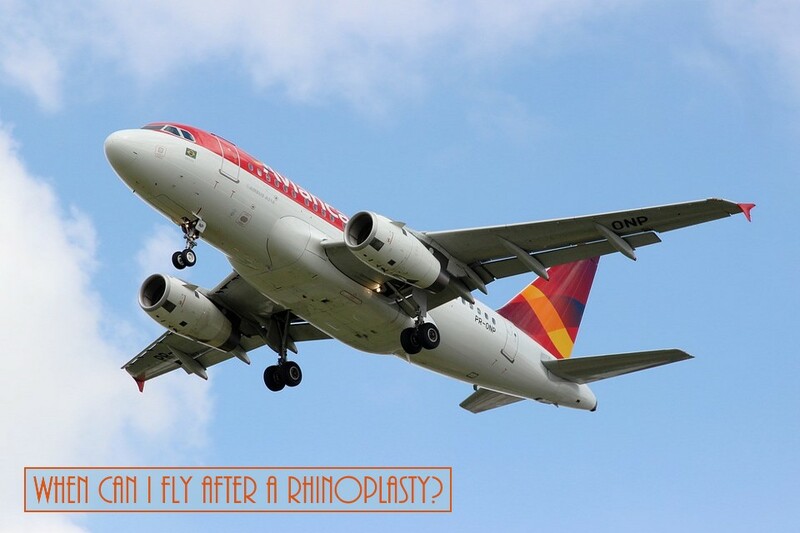 Home > Blog > When Can I Fly After A Rhinoplasty? A patient must not fly for at least 5 days after the surgery. While unlikely, the possibility that you will have a nose bleed during the flight, which could be an emergency situation, is avoided. It is still not recommended to fly for an additional week (in total 2 weeks), but many patients cannot stay in town for that long of a period. If you must fly during the second week of your recovery, it is important to take Sudafed and spray a nasal decongestant (Afrin or other) prior to take off. If not, the pressure changes during the flight may be very painful. It is also typical to have renewed swelling after the flight, which will last about 1-2 days.